Sabbath Walk: Can Anyone Live Without God? TITLE: CAN ANYONE LIVE WITHOUT GOD? Is it possible to live without God? Can people simply switch God off anytime they want? What about the strange logic that one can actually take a sabbatical from faith? This week, I want to entitle this week's article as "Can Anyone Live Without God?" Can Christians take a break from God? It seems unthinkable. Yet, Californian pastor Ryan Bell of a Seventh-Day Adventist Church thinks otherwise. While many people around the world think about resolutions and make resolutions each new year, Bell decides that for 12 months this year, he would abandon his faith, stop praying at all, and try to live as if God does not exist. As an ordained minister, a pastor for 19 years, as well as a seminarian, Bell embarks upon his 12-month experiment through social media about his endeavors. Since then, it has been reported that Bell is struggling with losing a job, making ends meet, and at the same time, getting help from an unlikely source: Atheists. This may look like a publicity stunt, but when I read the report, it seems like Bell is embarking on a personal quest to try to live out his doubts in order to validate them. How successful will he be? I do not know. There have been other similar experiments to try out something out of the ordinary. 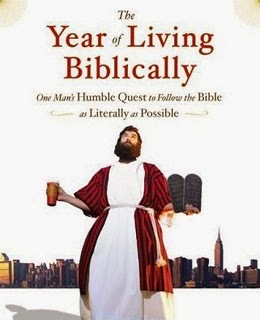 There is AJ Jacob's one year experiment described in his humourous book, "A Year of Living Biblically," where Jacobs puts all doubts about the Bible aside, and tries to live as literally as possible what the Bible actually says. He follows more than 700 rules and regulations stipulated within, and especially the Old Testament. Since that year, he has given talks about his efforts and his biblical experimenting. People laugh, but he sure is serious. Such experiments are basically reactions to something they are uncomfortable about. Jacobs is uncomfortable about the way fundamentalists are insisting upon a literal interpretation of the Bible. Others like Bell is uncomfortable with doubts amid his own ministry. It is an honest attempt to deal actively with deep troubling thoughts about doubts and what-ifs. Bell is not someone who has embraced change. He has converted from being a Methodist to Seventh-Day Adventist. He has shifted from fundamentalist positions to something more "progressive." So why is it surprising when he decides to take the leap from faith to unbelief? Moreover, this is a one-year experiment, which also means nothing is decided until the end of the 365 days. I find that such lifestyles tend to be more hype and reality. Three questions will frame the discussion. What is the limit of such experimentation? Is it necessary in the first place? Is it worth it? First, where then is the limit of experimenting? What is there to stop us from embarking upon other radical experiments? What about Hindus embracing Islam, or Buddhists choosing to practice Hinduism for a year, or maybe a man living like a woman? The latter reminds me of the Mel Gibson's movie, "What Women Want." In dressing up and thinking like a woman, he gained something, but also lost something in the process. Empathy can only go so far. Eventually, the movie ends with Gibson needing to put back his masculine personality again. Failure to do so would mean him giving up the love of his life. All these begs the question: In trying to learn more about another world, are we unwittingly forsaking an essential part of our being? Bell is experiencing what it means to be ostracized as he walks away from his faith. It makes me wonder if he could have been more open and more collaborative about his project with his own community leaders in the first place? The way the churches have axed him from his job gives me that uncomfortable feeling that things have not been going well between him and the leadership there. Where then is accountability to the rest of the congregation he is pastoring? Is he causing a stumbling block to others? So what if he manages to survive this year and go back to the Church and his former lifestyle of faith? If we take this logic to an extreme, what then is there to stop anyone from becoming a radical terrorist in order to understand why such people hate America so much? The sky's the limit? Not really. When we have been redeemed by grace, we live by faith in the Son of God, who loved us and died for us. By walking back on faith in Jesus, we are essentially denying the One who loved us and died for us. 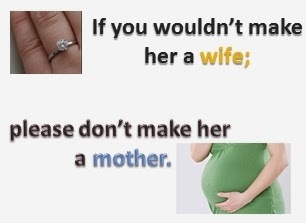 "If you wouldn't make her a wife, please don't make her a mother." If we choose to experiment something so precious such as faith, what is there to stop us from experimenting other things? What we choose to experiment is a result of a deeply held belief. If we truly believe Jesus is the way, the truth, and the life, everything else must adapt according to this belief, and not the other way round. Faith is anchored on something true, firm, and steadfast. Doubts try to unravel these tenets of faith. It is not our belief in God that forms the truth. It is the truth that under-girds our trust and faith in God. The atheists begin with the premise of "There is no God." The agnostic walks between theism and atheism under the premise: "I am not rejecting any." The apathetic will not bother even to talk about faith, choosing to live under the umbrella of "whatever." Thirdly, is such an experiment worth it in the first place? I do not think so. In the case of Bell, he has already suffered. His family too. It makes me wonder whether Bell's venture is a foolish one. Can an Ethipian change his skin or a leopard its spots, so says Jeremiah 13:22. Obviously, the prophet is saying "No way!" One can still empathize with the poor without having to go to the extreme as if the "only way" to understand poverty is to be poor. Some people may have that calling, but to straitjacket people into that shell is very much a foolish one. It is like saying, "Cyanide is poisonous? No, let me try that first." Having said that, there are other experiments in which something good has come out of it. For instance, Alan J Jacobs confesses after his year-long experiment that "your behaviour affects your beliefs" admits becoming a better person, and more appreciative of the laws and regulations in the Old Testament. 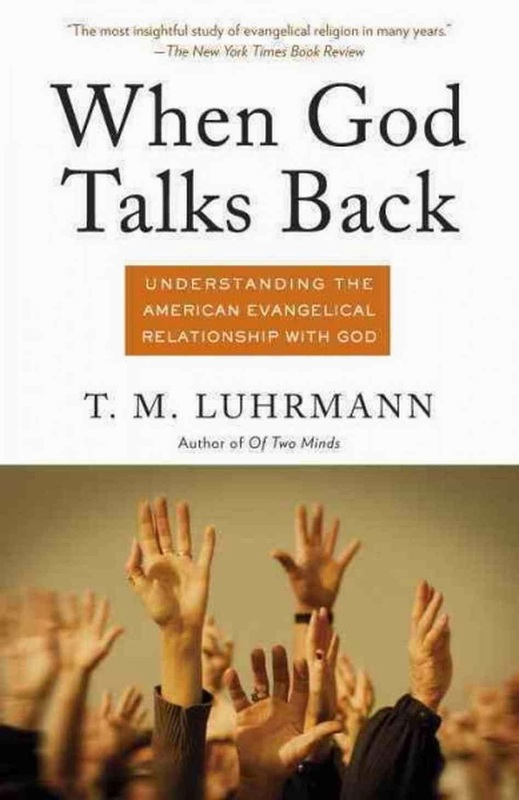 The unbelieving author of "When God Talks Back," Tanya Luhrmann, also spent several months living with and actively engaging with the evangelical community, just to understand the link between believers and God. Something good can happen even in the midst of foolish human experiments. Still, we cannot presume that we will always be safe from harm. Neither can we simply take for granted that we can embark upon a life of sin so that we can experience grace. In that light, just abandoning one's faith in order to address one's doubt is all in all, a really bad idea. After all, everyone of us have been through the path of sin. For all have sinned, remember? What Bell needs to be doing is not abandoning faith, but taking a sabbatical from religion. What we need are not more choices to live, but more wisdom to make the best choices we have and the courage to live with the worst consequences because of it. So, to the question, can anyone live without God? Of course, but that is not the point. The point is this. Are we living upon the truth or are we choosing to continue to live out a lie?